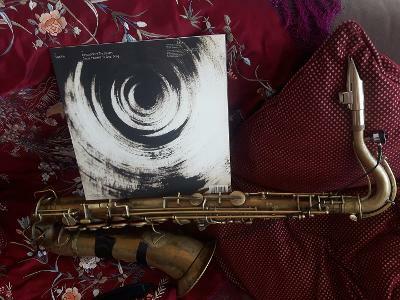 "The album’s three tracks are dark sojourns through psychedelic jazz – wrestling with rhythms and running sax down the skin with the menace of a freshly sharpened knife. The pair coax one another constantly throughout the LP, challenging the other to make a step too far, to pierce the psychedelic barrier and scar the psyche beyond repair. On opener “Satellite” the drums pound in the brain with an anxious insistence – skittering in an endless tumult before the foreboding gnash of gongs makes it clear that something transcendental and otherworldly is afoot"
"The brainchild of Portuguese drummer, percussionist and all round sonic sculptor Joao Pais Filipe, and saxophonist Julius Gabriel, Paisiel is very much a trip into the obscure free-form worlds laid open by Sun Ra and Miles Davis, but imbued with a sense of punk urgency more in line with early Hawkwind. Whilst there may be no motorik riffs, or space noises for that matter, within the music that unfolds here is a developing embrace of industrial space age sculpture, aligned with a sense of freedom in movement. Call it jazz, or call it space rock, the result is the same as you get hurled into a cavernous void." 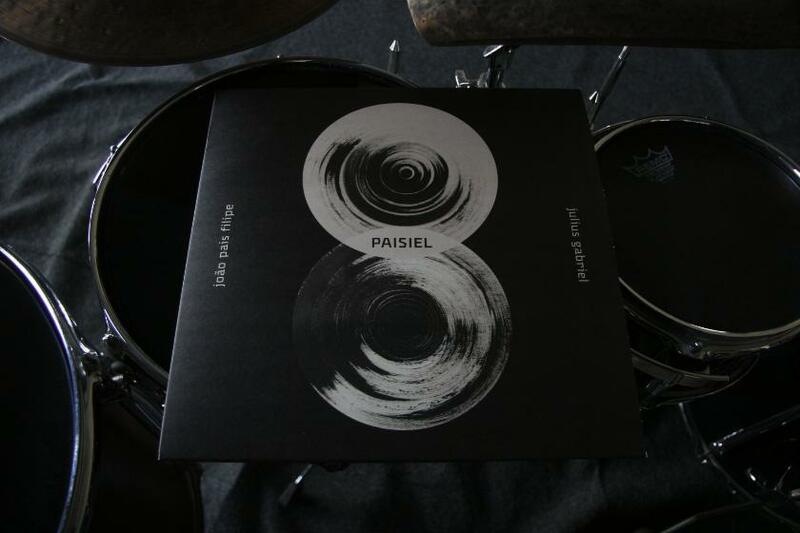 EN| Paisiel is the enigmatic name given to this project consisting of the Portuguese drummer, percussionist and sonic sculptor João Pais Filipe and the German saxophonist Julius Gabriel. Based on an individual exploration of the sound and on the expressive possibilities of their instruments, the duo’s music seeks to join and systematize their influences, albeit without any obvious correspondences or affinities – resulting in textured and abstract melodies propelled by a mechanical and existential percussion that morphs into a kinetic trance. 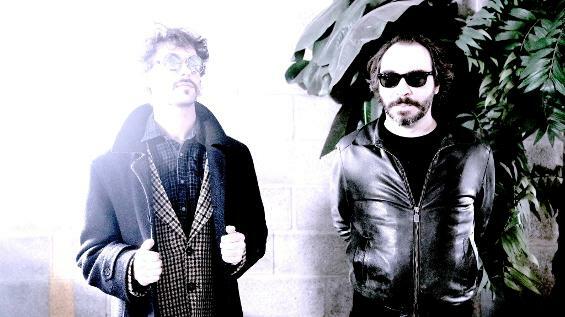 Heterodox and digressive musicians, moving freely between experimental music, jazz, rock and other new musical categories, João Pais Filipe and Julius Gabriel create radiographic music that inhabits somewhere between the reception and the emission of signal, like a cosmic telephone exchange. DE| Paisiel ist der enigmatische Name des Duos des portugiesischen Perkussionisten und Gongschmiedes João Pais Filipe und des deutschen Saxophonisten Julius Gabriel. Ausgehend von einer individuellen Erforschung der klanglichen und expressiven Möglichkeiten ihrer Instrumente, strebt das Duo nach einem originären Sound, der sich basierend auf schwerelosen Melodien, zirkulierenden Patterns, Drones und existenziellen Rhythmen in eine kinetische Trance verwandelt. Zwei Musiker die sich frei zwischen musikalischen Kategorien bewegen, erschaffen eine radiografische Musik, angesiedelt irgendwo zwischen Empfangs- und Sendesignalen, die wie ein Telefonaustausch des Kosmos anmutet. PT| Paisiel é o enigmático nome do projecto do baterista, percussionista e escultor sonoro João Pais Filipe e o do saxofonista alemão Julius Gabriel. Alicerçada numa exploração individual do som e das possibilidades expressivas dos instrumentos, a música deste duo corresponde a um impulso de sistematização de referências sem correspondências nem afinidades óbvias - melodias texturadas e abstractas propulsadas por uma percussão simultaneamente mecânica e existencial que se metamorfoseiam num transe cinético. Músicos heterodoxos e digressivos, movendo-se livremente entre a música experimental, o jazz, o rock e restantes declinações indecifráveis de novas categorias musicais, João Pais Filpe e Julius Gabriel criam música radiográfica que habita algures numa zona intermédia entre a recepção e a emissão de sinal, como uma central telefónica do cosmos.